Wild About...: How To Revive A Mermaid. The Compelling Story of The Mermaid Pool Restoration and How You Can Be Part of The Action! 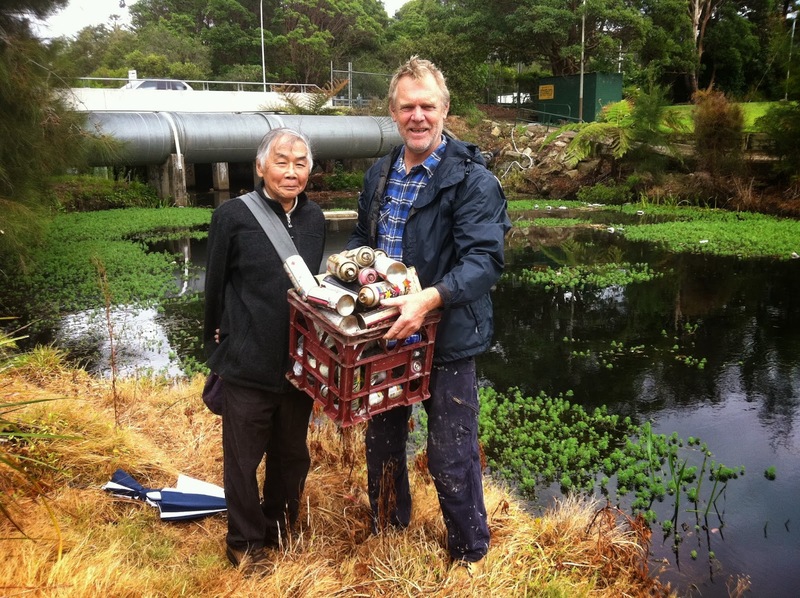 Andrew and Wol removing discarded graffiti spray cans from Manly Creek. Ah it seemed so easy then, just yank a few trolleys out of the water and we can all go back to football and beer. Trouble is, the closer you looked, the more garbage there was. The beautiful oasis that once was Mermaid Pool had literally become a rubbish dump over recent years and what should have been spectacular remnant bushland was now also clogged with invasive weeds such as morning glory and privet. What were we getting ourselves into? Many things have since happened to help restore the tarnished jewel of Mermaid Pool, kicking off on ‘Clean Up Australia Day’ 2002, when 4 tonnes of rubbish were removed by 71 volunteers. Subsequently the Clean Up Australia organisation adopted the project as a ‘Fix Up’ Site. 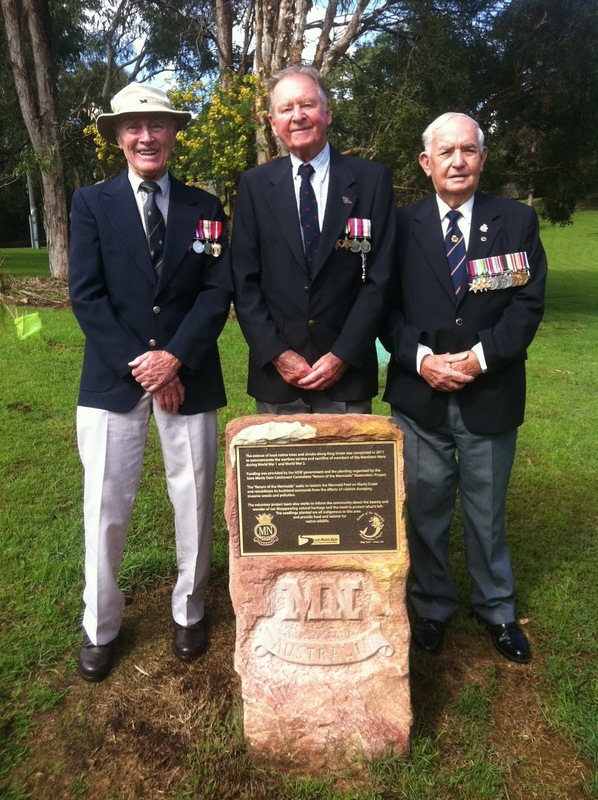 Two grants have been applied for and received from the Natural Heritage Trust, which has helped pay for rehabilitation contractors, whilst volunteers have stencilled storm water drains, produced brochures, planted trees and much more. WORKOUT AT THE 'GREEN GYM !! 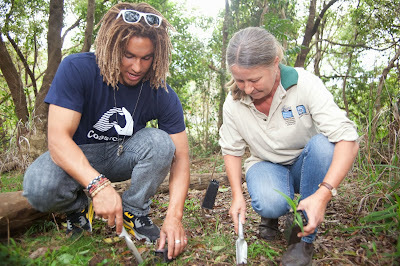 The best way to get involved now is to come to the monthly bush regeneration volunteer workdays. 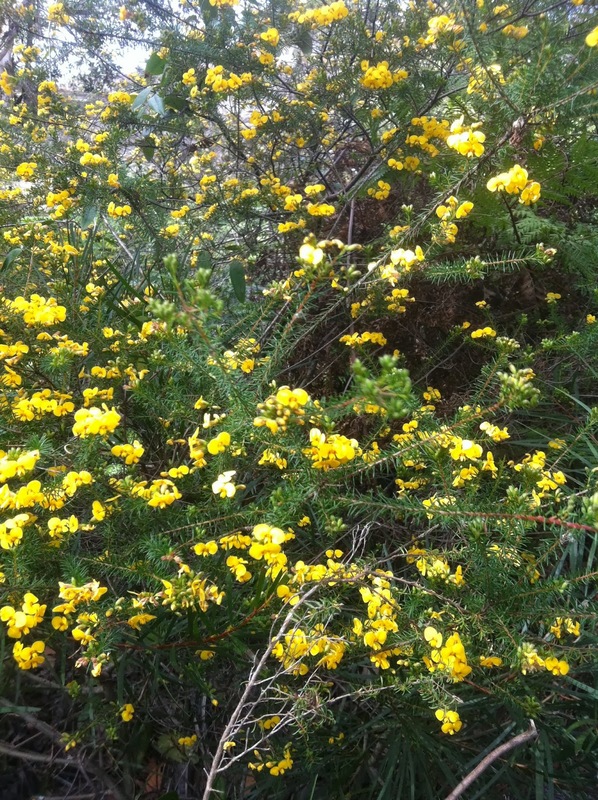 “Bush regeneration” basically means identifying and removing a range of noxious weeds that are impacting the natural environment by out-competing the native plants. We are part of Northern Beaches Council’s "Friends of the Bush" program It’s a great opportunity to learn about the local environment and help protect it whilst keeping fit and meeting (slightly crazy) new people. Professional supervision is provided. 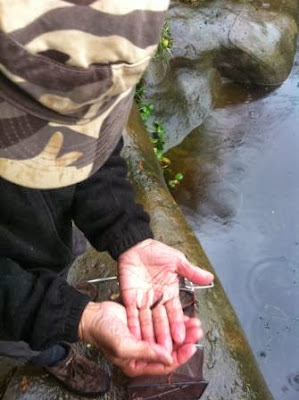 We even have some amazing ‘masochist’ volunteers who wear waders to remove the introduced aquatic weeds (such as Ludwigia Peruviana from Peru!) that are clogging up the waterway. We are conscious of advocating hand removal of weeds and keep any herbicide use away from the water and to an absolute minimum. (NB Volunteers are required to complete a short OH and S training session with Northern Beaches Council before working on site). WHERE THE HELL IS MERMAID POOL? Mermaid Pool is at the western corner of King St, Manly Vale, Sydney. 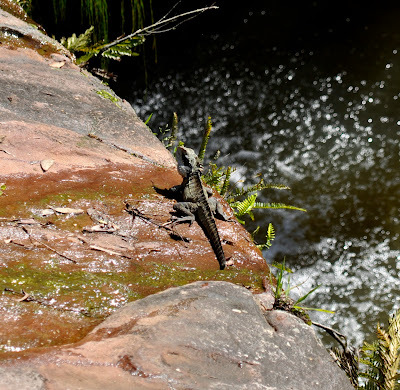 It boasts a lovely waterfall and is fed from Manly Dam by Manly Creek. The creek then winds its way down to the surfing beach at Queenscliff via Manly Lagoon. (As you can see it’s got a lot of Manly connections). If physical labour is not your thing we also need people with I.T, communications, research and admin skills plus individuals who are able to conduct ecological surveys). TIME TO THINK ABOUT GOING NATIVE? 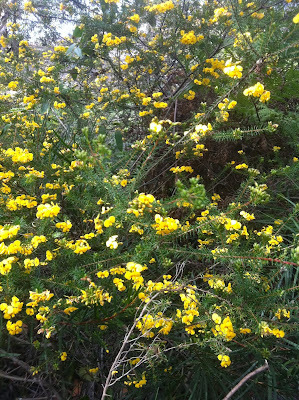 The Sydney region has a much greater number of plant species than the whole of Great Britain combined and each of our suburbs have their own individual endemic varieties. Sadly as the city has grown we’ve eradicated much of our bushland and planted our gardens with exotics from Europe, Asia or South America. Most natives available in the major nurseries are hybrids or out of area plants. 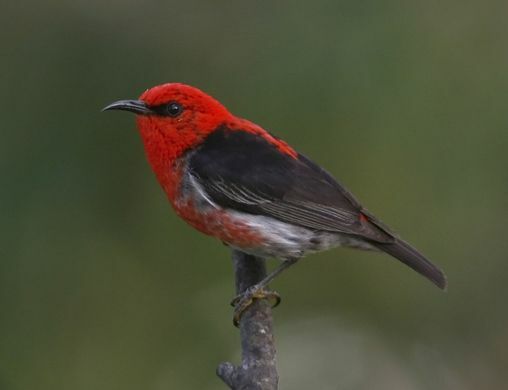 Increasingly though, people are seeking out species indigenous to their area and finding them perfect for local weather conditions, soil types and for attracting wildlife. The New Northern Beaches Council can offer advice on what to plant and where to buy them. There is even a community native plant nursery now at Manly Dam (near the Rangers Office). DOES EVIL LURK IN YOUR GARDEN? Our waterways and natural bushland are under threat due to the invasion of environmental weeds. 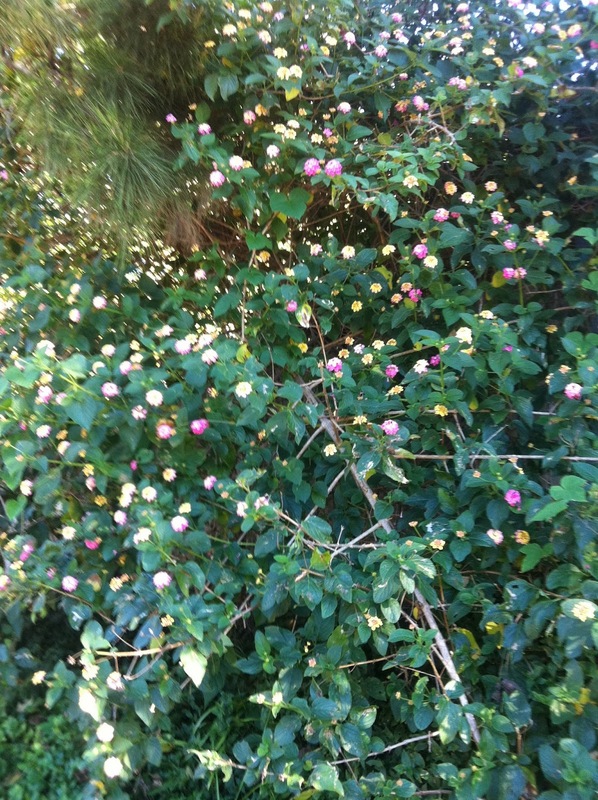 These introduced plants out-compete or smother native plants. The trouble is, many of these foreign pests begin life in someone’s backyard and are spread by birds eating their seeds or from people dumping garden clippings in the bush. 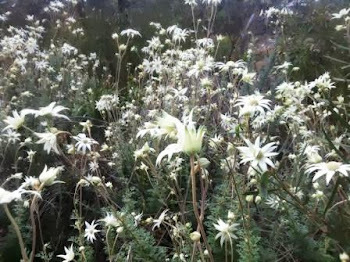 Once these weeds take over, the natural character of the bush is lost and habitat for wildlife is reduced. The great thing about getting involved in environmental restoration is that you can discover fascinating insights into local biodiversity and help ensure that habitat for our native fauna is improved. In the Mermaid Pool environs for example, Bandicoots have returned after a 40 year absence, Swamp Wallabies have recently been spotted nearby whilst Dwarf Green Tree Frogs still survive in the reed beds. 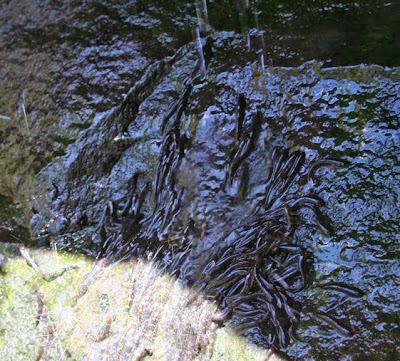 There are 10 types of native fish that call this waterway home. Some of them have migrated up Manly Creek from the ocean to spawn for millennia (the original “Mermaids”) but accumulated silt, exotic weeds and other obstructions have made this increasingly difficult. Juvenile Cox’s Gudgeon were recently photographed (by local resident and native fish expert Andrew Lo) ascending Mermaid Pool waterfall using their fins to climb the sheer rock wall. Of course indigenous people occupied the Northern Beaches area for thousands of years and we are hauntingly reminded of their ancient presence through rock carvings and engravings in our locality. As more and more discoveries are made, the significance of the area to Aboriginal people is taking on a greater dimension and the environs of the Mermaid Pool are now being nominated as an Aboriginal site by the MLALC and others. In 1788 Governor Arthur Phillip traversed this creek-line when it was surrounded by dense forest and swamps. In the Depression years of the 1930’s there was a camp at Allambie for people who had lost their homes. Girls used to slip away to the pool to swim naked-hence the name-Mermaid Pool. 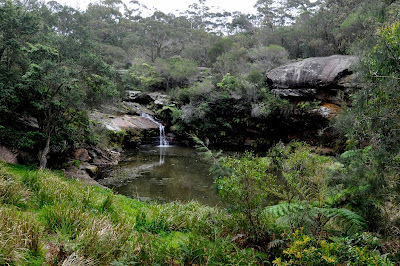 In those days the water was crystal clear, the bird-life rich and varied and the bushland vibrant and colourful. There is still a rare pocket of coastal rainforest beneath the rocky overhangs of Mermaid Pool which echoes a long distant era. A mere seventy years ago much of Manly Vale was unspoilt bushland, platypus still occupied some waterways and even quolls and koalas were ‘in residence’. The home of the Douglas Family in the 1930's in what is now "Jenna Close"
WHAT ON EARTH NEXT ? A Water Dragon..one of the popular local residents. 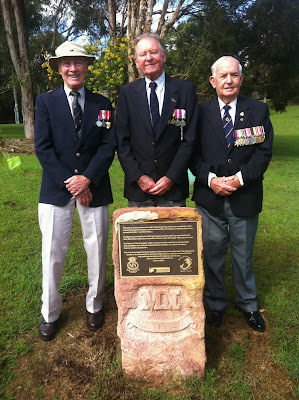 Ex Merchant Seamen, Don, Ray and Don at the "Avenue of Honour" central monument. 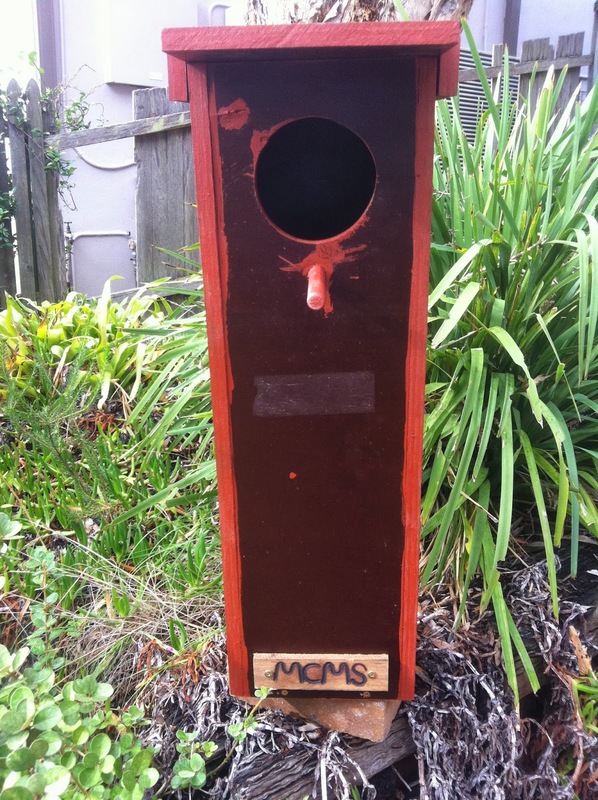 We are currently positioning nesting boxes for native wildlife in the area (from pygmy possums and micro bats to king parrots) which will provide homes for wildlife (acting as surrogate tree hollows). We are hoping to retrofit tiny cameras inside the boxes to help give the community knowledge of (and empathy with) their local species by being able to observe them. Vision from inside the boxes would be transmitted live via the internet. Our beautiful remnant of bushland has no power or communications, so we will provide our own – wirelessly, to bring images from the site. 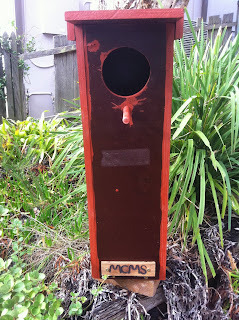 Each nesting box in addition to it’s Raspberry Pi computer will be connected to a Mesh wireless network which connects to the internet. Additionally each box would be powered by a dry-cell battery that is charged via photo voltaic solar collectors. As many of the residents are nocturnal, we will illuminated their nesting boxes with infra Red which our cameras pick will up as monochrome images. Our parent organisation, the Save Manly Dam Catchment Committee has also helped fund important restoration work at Orara Reserve at Allambie, in conjunction with the Beach School. This work involved contracting a team from Bushlink ( a bush regeneration organisation which employs people with a disability). Collaborating with students, they are gradually removing the invasive weeds from this beautiful area of remnant bushland. We hope to contribute more funding to this important project in the future. The "Return of The Mermaids" restoration project won the Inaugural KNSWB Blue Star Sustainability Award in 2015 in the Habitat and Wildlife Guardianship Category. On October 8th, 2018 The Greater Sydney Landcare Network https://greatersydneylandcare.org/ sent a letter to The Minister For Lands (Paul Toole), Local MP (James Griffin) and Northern Beaches Mayor (Michael Regan). The letter supported the Save Manly Dam Catchment Committee’s initiative of establishing a “small bird corridor” at Mermaid Pools. 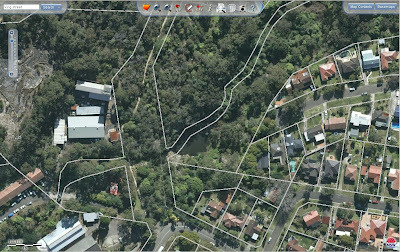 This would mean that four unallocated crown land parcels of bushland between Manly Dam and District Park (alongside Manly Creek) would be formally protected and zoned for conservation. 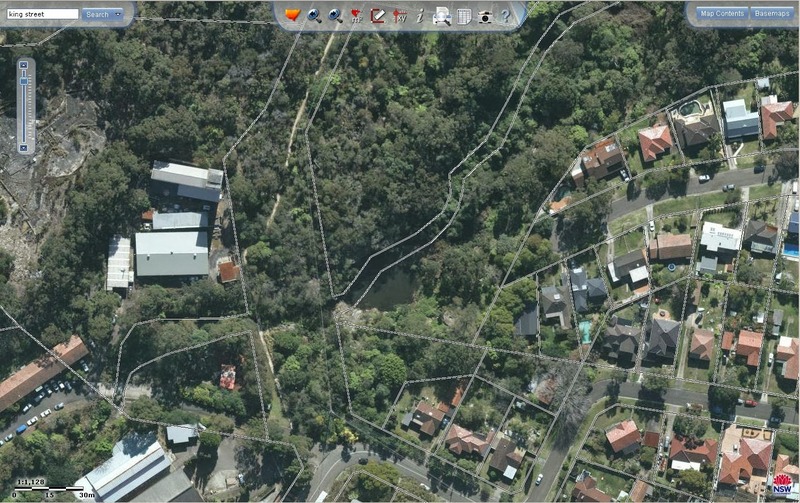 If this eventuated it would help offset the loss of bushland adjoining nearby Manly Vale Public School, where the dense bushland habitat of the following recorded birds was bulldozed as part of a redevelopment. 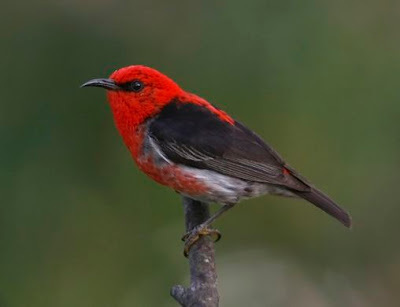 (Black Faced Cuckoo Shrike, Brown Thornbill, Eastern Spinebill, Little Wattle Bird, New Holland Honey Eater, Red Browed Finch, Scarlet Honey Eater, Silvereye, Spotted Pardalote, Superb Fairy Wren, White Browed Scrub Wren, Azure Kingfisher). CAN YOU SPONSOR THE FUTURE? 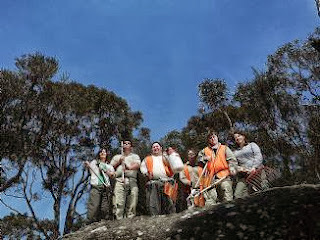 Special thanks to all the wonderful volunteers who have worked so hard to ‘Return the Mermaids”* (Many of the first volunteers had spent the previous decade campaigning to save the headwaters of Manly Dam from the infamous ‘Ardel’ housing development which ultimately destroyed the creekline upstream. This restoration project initiated by The Save Manly Dam Catchment Committee was seen as a way to compensate for some of the environmental damage). World Water Day 2012. 10th Anniversary of "Return of the Mermaids"